Staying active and social can help aging adults stave off many age-related conditions, including dementia and osteoporosis. Remaining engaged can also help the elderly lower their stress and anxiety levels and prevent isolation and depression. 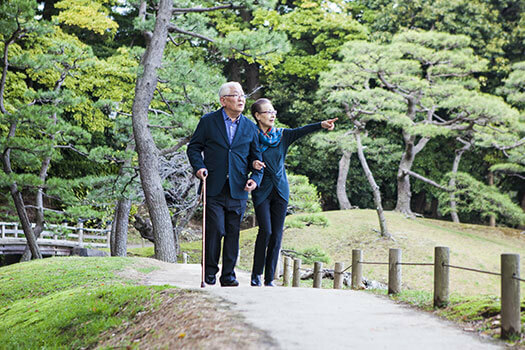 Here are some of the ways people can continue to stay engaged in their golden years. Older adults can join groups in their community, such as book clubs, dance groups, or art organizations. The purpose of joining these groups is to keep the mind actively engaged. In addition to clubs, seniors can volunteer with local charities and nonprofit organizations. Furthering a cause that enhances the lives of others could potentially boost the emotional and mental health of adults in their senior years. Seniors who need regular mental or social stimulation should consider professional in-home care. For families living in Oshkosh, respite care can be a wonderful solution when their aging loved ones need companionship and socialization a few hours a week or just need minor assistance with daily household tasks. At Home Care Assistance, we thrive on helping seniors maintain their independence while living in the comfort of home. Modern technology gives seniors the ability to maintain close relationships with their family and friends, despite the distance. Your elderly loved one can use social media to send messages to past coworkers or video chat with his or her grandchildren. Using social media can keep the mind engaged, enhance short-term memory, and boost cognitive health. It is important for seniors to learn new things as they grow older. Since companies are always developing updates and new advancements for their apps, your loved one will need to navigate these changes, keeping his or her brain active. Reading is one of the easiest ways to remain engaged at any age. Older adults can read new books or choose popular novels from the past. The books seniors read can help their brains come alive with emotions and imagery that turns on their senses. The more your loved one reads, the better his or her odds of reducing the risk of dementia and Alzheimer’s disease will be. Reading can also prevent depression due to boredom. Dancing, doing yoga, performing aerobics, hiking, and swimming are some of the exercises and activities seniors can do to stay engaged. Doing moderate exercises each day or a few times per week can enhance mental, physical, and emotional health. Seniors who exercise can lower their risk of developing diabetes, hypertension, arthritis, obesity, and other health issues. Those who stay mentally and physically engaged in the golden years can enhance their quality of life and maintain their independence for a little while longer. If you have a senior loved one who needs help maintaining a high quality of life while aging in place, reach out to Home Care Assistance, a leading provider of elderly care Oshkosh families can rely on. All of our caregivers are bonded, licensed, and insured, there are no hidden fees, and we never ask our clients to sign long-term contracts. Taking care of a pet is a good way to provide seniors with the stimulation they need to keep their bodies moving, their spirits lifted, and their brains active. You can buy your loved one a dog, cat, bird, fish, or hamster. Make sure to purchase a pet that is low-maintenance so your loved one can enjoy being a pet owner instead of stressing out over the responsibilities. Becoming a pet owner could stimulate your loved one to read up on the pet and learn more about its interests and health needs. Having a pet may also help seniors fight against depression, high blood pressure, and heart conditions. Seniors who want to remain healthy as they age can benefit in a variety of ways when they receive professional home care. Oshkosh, WI, Home Care Assistance is here to help your loved one accomplish daily tasks, prevent illness, and focus on living a healthier and more fulfilling life. To learn more about our elderly care services, call us at (920) 710-2273 today and speak with one of our qualified Care Managers.